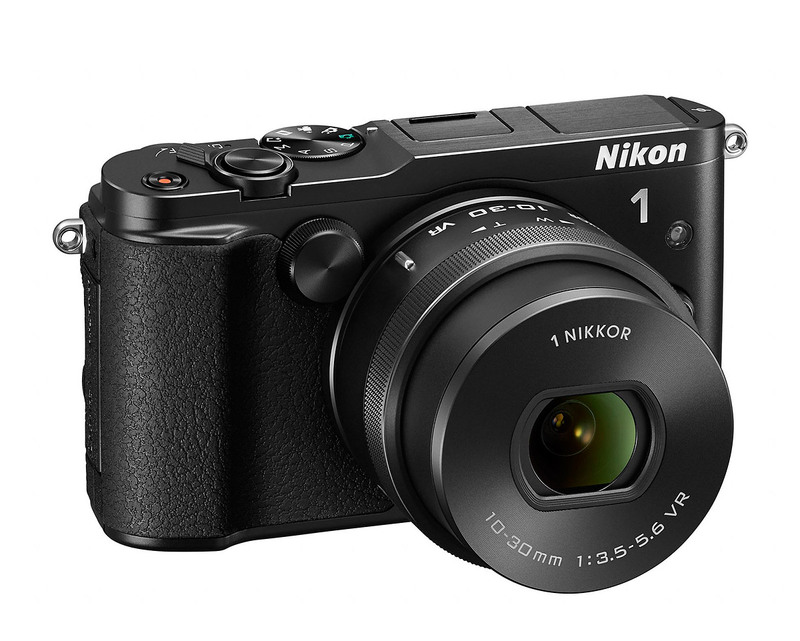 Nikon’s third-generation Series 1 camera is here. 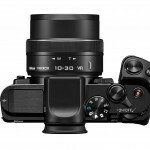 The new Nikon 1 V3 flagship mirrorless camera is slimmed-down, lightened-up, and built for speed. 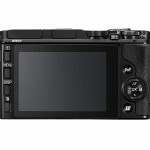 It has a brand-new 18.4-megapixel CX-format CMOS sensor with 105 embedded phase detect AF points. 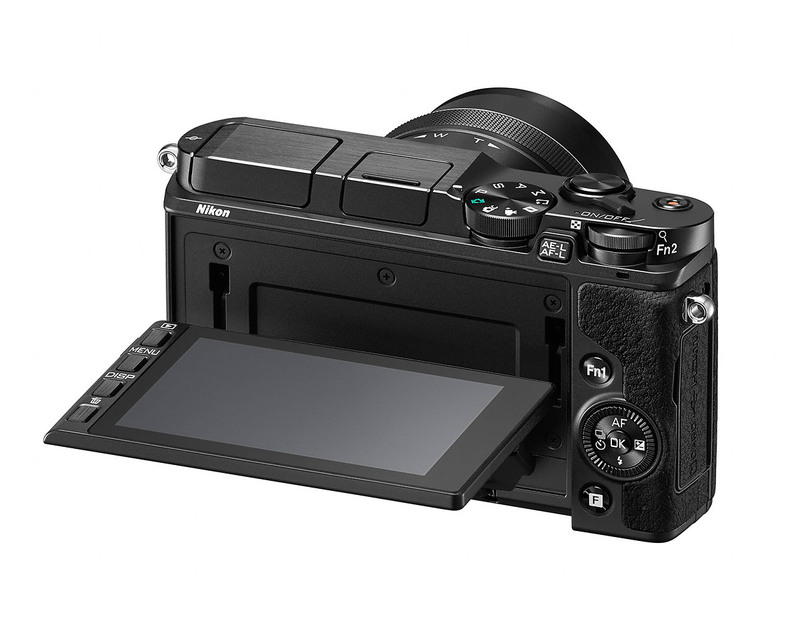 The new EXPEED 4A processor allows the V3 to capture full-resolution RAW images at up to 20 frames per second with continuous auto focus – that’s faster than even the most powerful, most expensive professional DSLRs. The improved EXPEED 4A processing allows the V3 to record full-HD 60p video as well as 720p at 120 FPS. 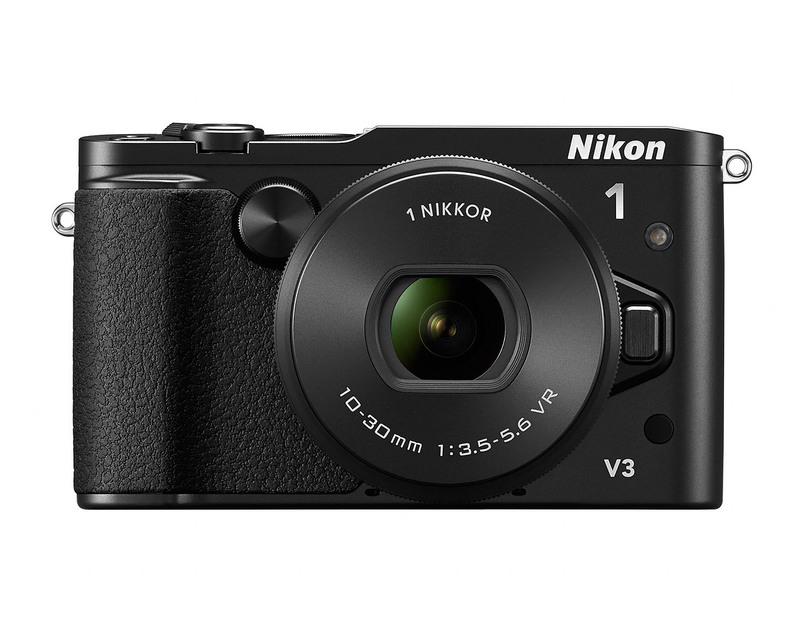 The V3 is also the first Nikon 1 camera to get built-in Wi-Fi, making it easy to share photos and videos from almost anywhere. Compare photos of the new Nikon 1 V3 to the previous Nikon 1 flagship cameras, and it’s clear they’ve taken a new design tack. 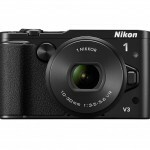 The V3 looks a lot more like the J-Series cameras or even Nikon’s P7800 premium Coolpix compact. It’s smaller than the V1 or V2 and quite obviously missing the built-in electronic viewfinder (EVF) that used to bulge upward from the top deck. 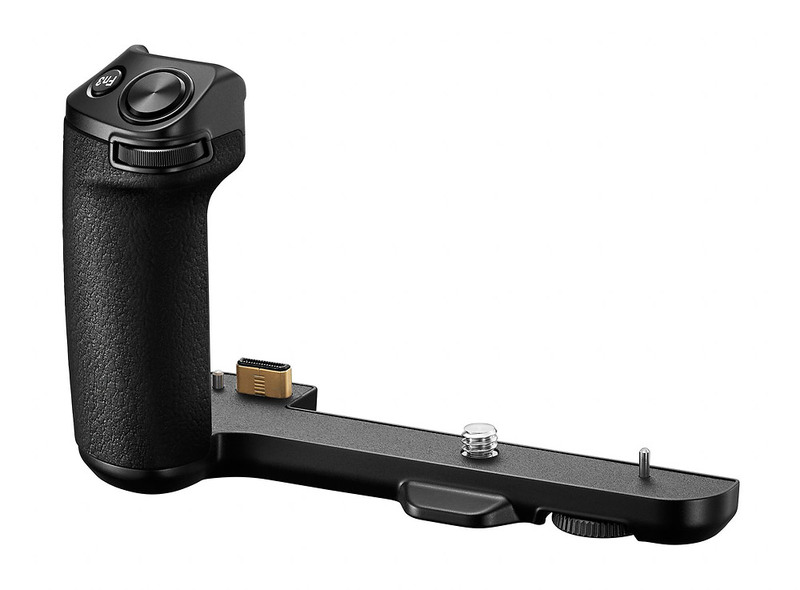 Don’t worry, though – Nikon has a new accessory EVF (DF-N1000) that looks to be even better. Not only does it help keep the camera smaller, since you don’t have to use it if you don’t want to. 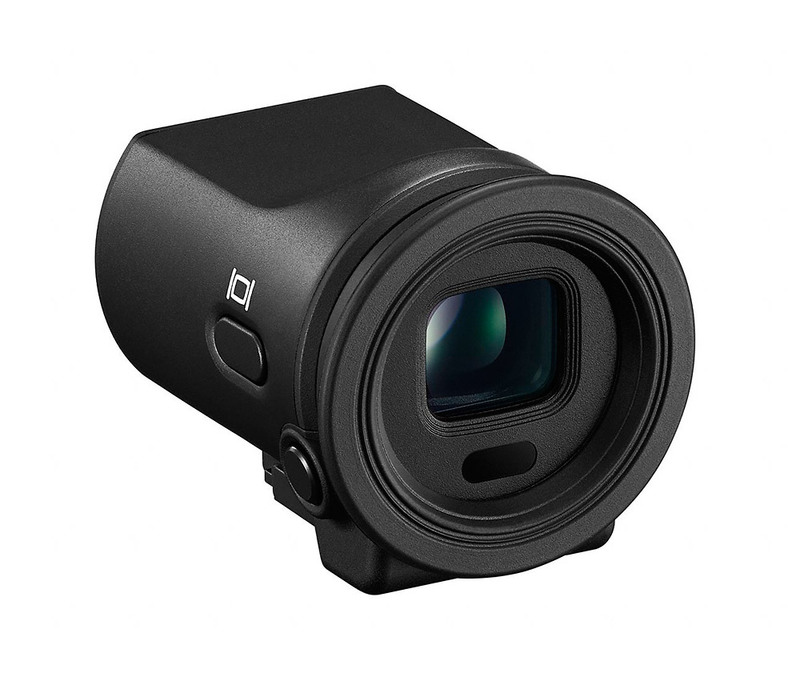 But it’s also a much better EVF, with a 2.35-million-dot resolution, diopter adjustment, and an auto eye sensor so it toggles itself on and off. 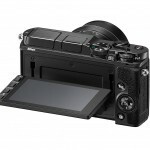 If you aren’t using the EVF, there’s a new 3-inch, tilting touchscreen LCD display with touch shutter and touch focus. The controls have also been improved with dual exposure adjustment dials and two customizable function buttons. 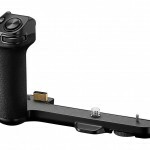 For people who like a larger camera, Nikon is offering an accessory grip (GR-N1010) that adds a third function button and another exposure control dial. There is one downside to the new body design. To help keep it small, Nikon swapped the SD memory card slot for a Micro SD card slot. Micro SD cards might be tiny but they have big boy performance, now. However, they’re so small that I’m really nervous about losing or breaking them. I would have preferred to see Nikon stick with standard SD cards for the V3 – especially considering the high level of performance the camera has. Micro SD cards just don’t seem professional. 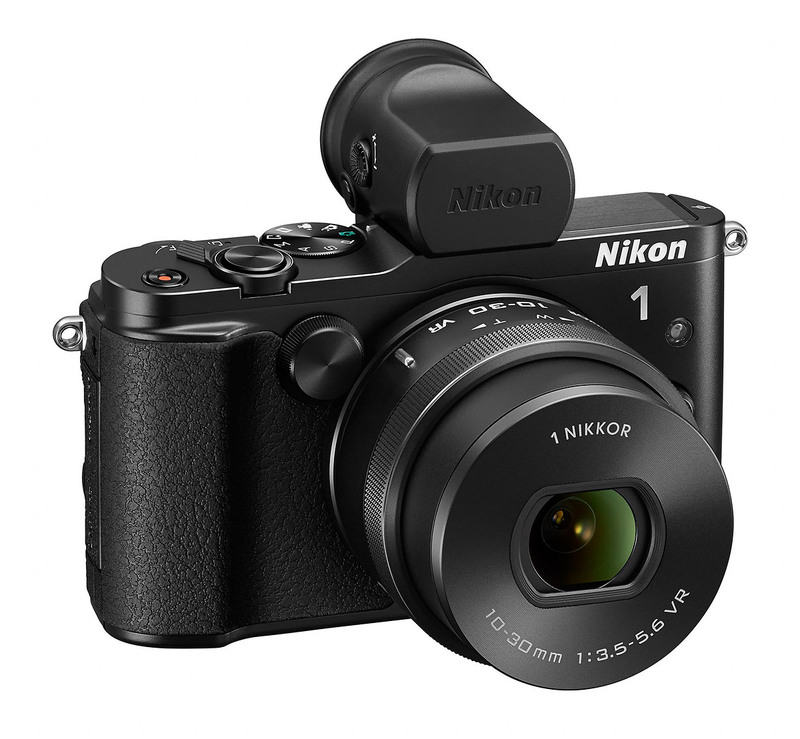 Performance-wise, Nikon’s 1 Series mirrorless cameras have always been ahead of the curve, with amazing continuous auto focus performance, super-fast still photo burst rates, and great video. 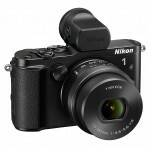 I was really amazed when I reviewed the first generation Nikon 1 J1 (read the Nikon 1 J1 review). It was the first interchangeable lens camera I’d used that had useable movie mode continuous auto focus. And at the time, it was the only mirrorless camera that could be used for serious sports shooting. It changed my attitude about what might be possible with mirrorless cameras. With the fastest burst rate available in any camera, Nikon continues to push the limits with the new V3. I am definitely impressed with 20 frames per second. But to be honest, that’s actually too fast for most action. I shoot a lot of sports and personally, I think the sweet spot is between 7 and 10 frames per second. A high-five for Nikon anyway, for setting a new high-speed burst rate standard. That 20 FPS is with continuous auto focus, too. So as long as you can keep your selected AF point on your subject, you should get 20 frames per second, in focus – even with a really fast subject like a roadracing motorcycle coming straight at you on the track. 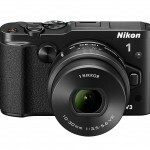 When I reviewed the Nikon 1 J1, I was a little disappointed with the original CX sensor’s image quality. But my recent experience with the Nikon 1 AW1 waterproof model has been much better (Nikon 1 AW1 studio sample photos). The image quality has been improved considerably. With the brand-new, higher-resolution sensor and new EXPEED 4A processing, I expect the V3 to be very good. I don’t expect it to be as good as the Micro Four Thirds or APS-C sensor mirrorless cameras – those larger sensors really do make a difference. But I think we’ve probably reached the point where, in good light anyway, there’s no serious image quality compromise from shooting with the V3. 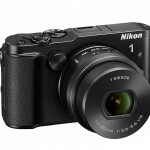 The Nikon 1 cameras are outstanding for video. Like I already mentioned, the continuous auto focus works just as well for video as it does for still photos – something you can’t say about most other cameras. One of the main benefits of the new EXPEED 4A processing is faster, 60 frames per second, full-HD video. That means cleaner, richer movie footage. Movie e-VR (Electronic Vibration Reduction) will help keep things smooth and steady, as will the new 10-30mm VR kit lens (27-81mm equivalent) with power zoom. For action shooters, 720p at 120 frames per second is a game-changer, allowing super slow motion HD video at very high quality – perfect for serious action sports video makers. Previously, that kind of slow-motion performance was only available in very expensive professional video cameras, or more limited POV video cameras. 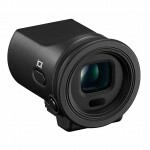 Now you can have it in a reasonably-priced, easy to carry camera with interchangeable lenses and great controls. I’ve used a lot of cameras with built-in Wi-Fi now and I don’t want to be without it, anymore. It makes keeping my Instagram feed live and up-to-date so much easier. To use the V3’s built-in Wi-Fi, you just install Nikon’s free app on your Smart Phone and then you can wirelessly transfer images from the camera to your phone and share them immediately. You can also use your phone as a wireless remote control, complete with live view display. I love that feature! If you want to see digital camera Wi-Fi in action (with different cameras), check out my Digital Camera Wi-Fi Demo Video Demo. It may not seem like an important feature. But like I said, now that I’ve had a taste of it, I don’t want to live without it. From the beginning, I’ve been really impressed with the Nikon 1 cameras. Their speed and auto focus performance, especially, have been unbeatable. My one reservation was image quality. And I think they’ve turned the corner on that now. Like I said earlier, it’s unrealistic to expect the same image quality you’d get from cameras with larger sensors. But for most purposes and most conditions – especially for outdoor photography – I think they’re more than adequate. I’ve already recommended the AW1 waterproof Nikon 1 to lots of my friends who want a high-performance, interchangeable lens camera for mountain biking, skiing and travel. The V3 offers even better performance, better ergonomics, and better quality – as long as you don’t need a waterproof body, anyway. I think it’s going to be very popular with outdoor photographers and videographers who need a compact complement to their large, heavy DSLR camera systems. Nikon is announcing two new lenses with the V3 – the aforementioned 1 Nikkor VR 10-30mm f/3.5-5.6 PD-Zoom power zoom kit lens (27-81mm equivalent); and the 1 Nikkor VR 70-300mm f/4.5-5.6 (189-810mm equivalent) telephoto zoom. That makes a total of 13 lenses now for the Nikon 1 system, including four fast-aperture primes and a focal length range from 18mm to 810mm (equivalent). It’s starting to become a serious camera system now. 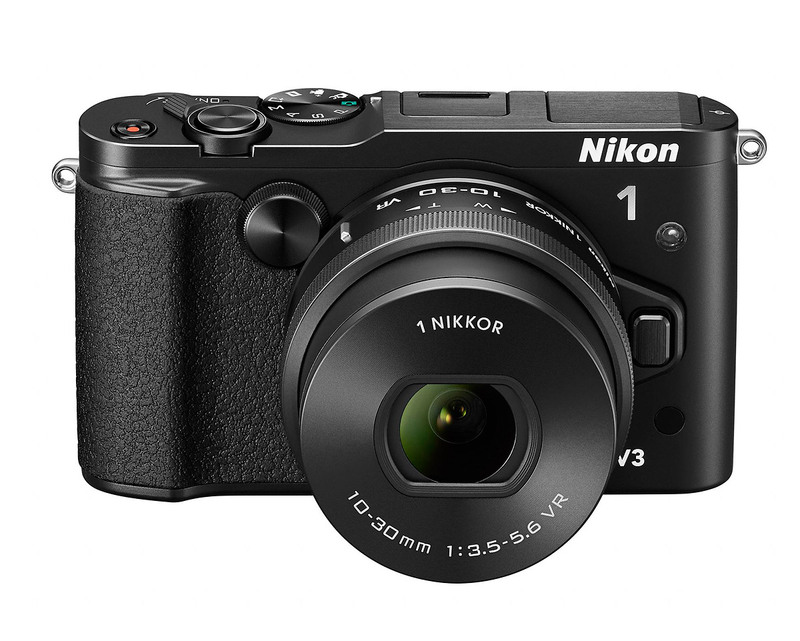 The new Nikon 1 V3 will be available in April of 2014. 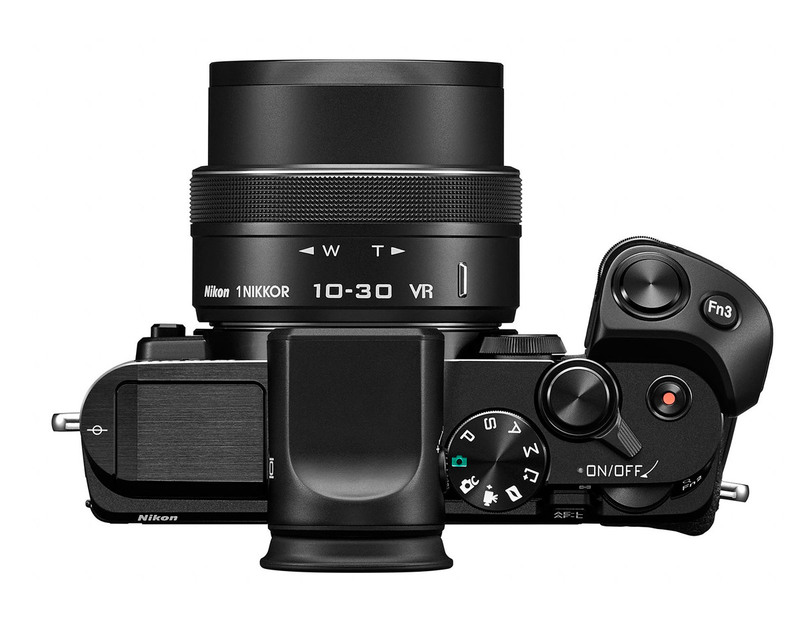 It will be sold in a kit with the new 10-30mm VR power zoom lens, the DF-N1000 electronic viewfinder, and the GR-N1010 accessory grip, for US $1,199.95. The 10-30mm power zoom will also be available separately for $299.95. The new 70-300mm VR telephoto zoom lens will be available at the same time for $999.95. 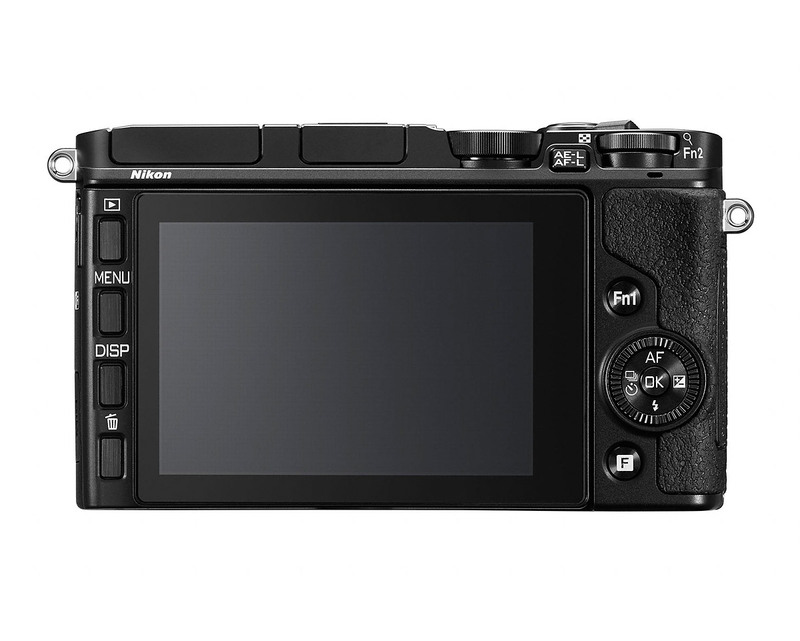 I like the articulated display and the fact that it has touch focus and touch shooter. The rumors had mentioned a regular flash hot shoe, that would have been great. Sometimes I wonder if someone in nikon development is paid by Oly or Fuji to make the cameras less competitive. The built in flash does not seem to be CLS capable. Those are detail offered by the olympus cameras and I’m only comparing.